Macclesfield boss Keith Alexander has completed the signing of Barbados international Neil Harvey from Unibond Division One South side Retford United. 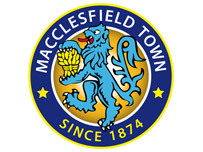 The 24-year-old striker has signed a one-year contract at Moss Rose. He told the Town website: "Keith got in touch last week and within the space of seven days it has all been sorted." London-born Harvey moved to Barbados as a youngster but returned three years ago in a bid to earn a contract with a Football League club. He added: "I had trials at several clubs including the likes of Fulham and West Ham, and more recently Morecambe were rumoured to be interested, but nothing came of them and that's why I jumped at the chance to join Macclesfield. "The gaffer has a track record of plucking unknowns from non-league football and I hope I can justify the faith he has shown in me. I realise it is going to be a big jump but I am confident lad." The striker, who has only played part-time football before, has made four appearances for his country and scored 35 goals in 46 games last season as his team won the title. Harvey said: "I know where the goal is. I tend to play as an out-and-out centre-forward and most of my goals are within the box. I just can't wait for the season to get started." Alexander said: "I suppose it is a big gamble but he has a fantastic opportunity to show he is capable to making the step up."